It was a beautiful ceremony at Saint Anthony of Padua in Delaware. The receiving line was outside the church. The bride and groom and there parents were hugging there guests and sharing some wonderful moments. 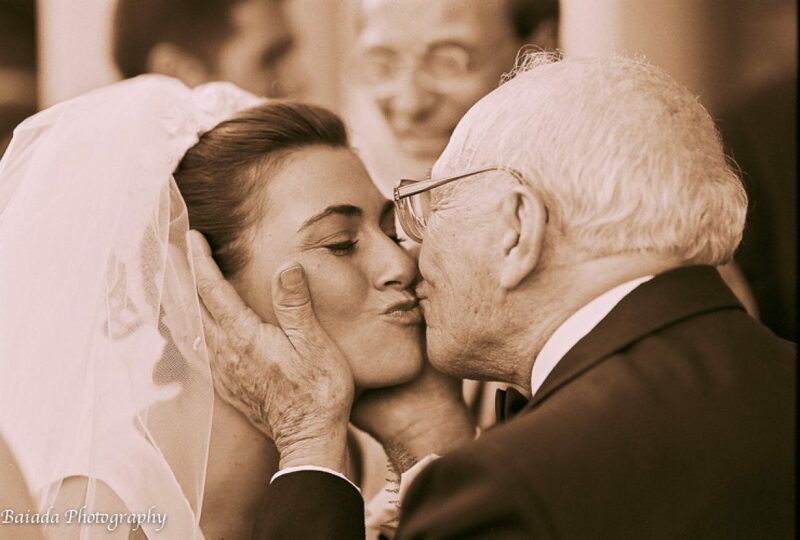 Behind me, I noticed the bride’s grandfather pacing anxiously and waiting for the last person to get through the line. Finally, it was his turn to greet his grand daughter. He slowly walked towards her, reaching both hands to her face and lovingly leaned in and gave her a kiss. As wedding photographers, we have to keep alert to the moments that will define THIS day. Each is unique and different. We believe that’s what makes a great storyteller, constantly looking for the interaction your clients have with those they love.